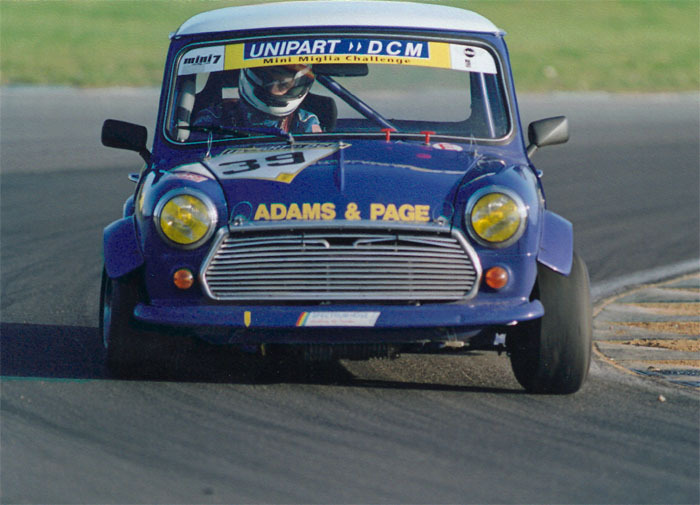 Suspension setup and rolling road tuning. 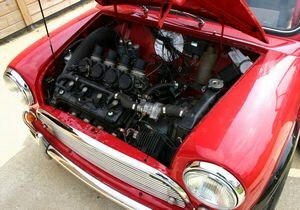 177bhp @ flywheel after fitting a Polestar ignition system and a rolling road session. 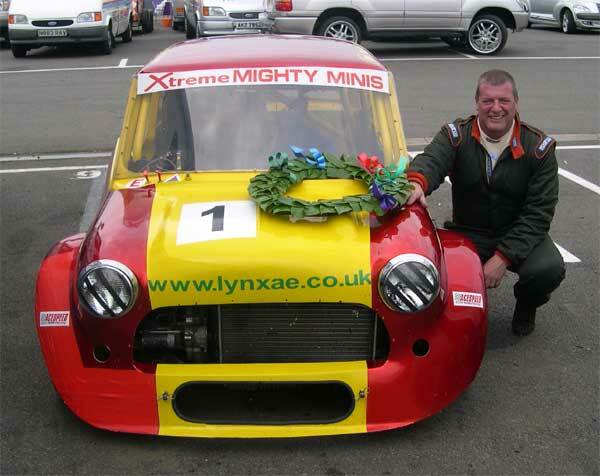 LynxAE prepared and ran this car to win the 2003 Xtreme Mighty Mini Championship. 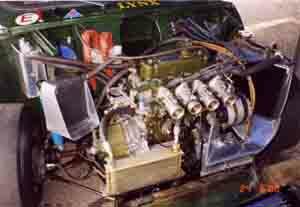 4 speed Dog box, LSD. 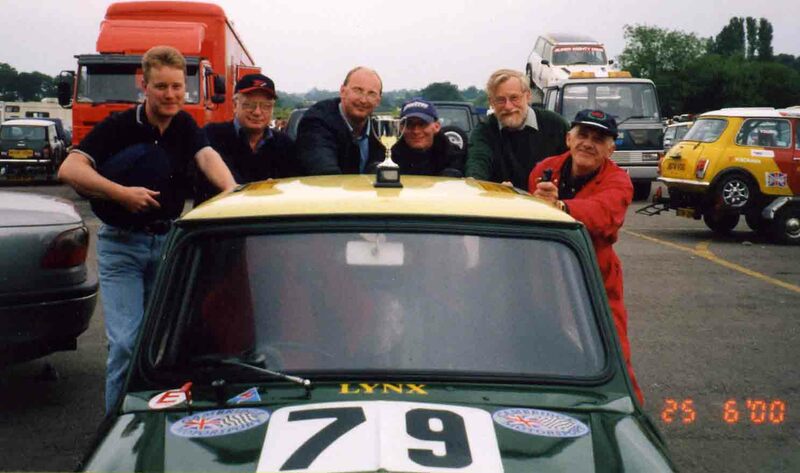 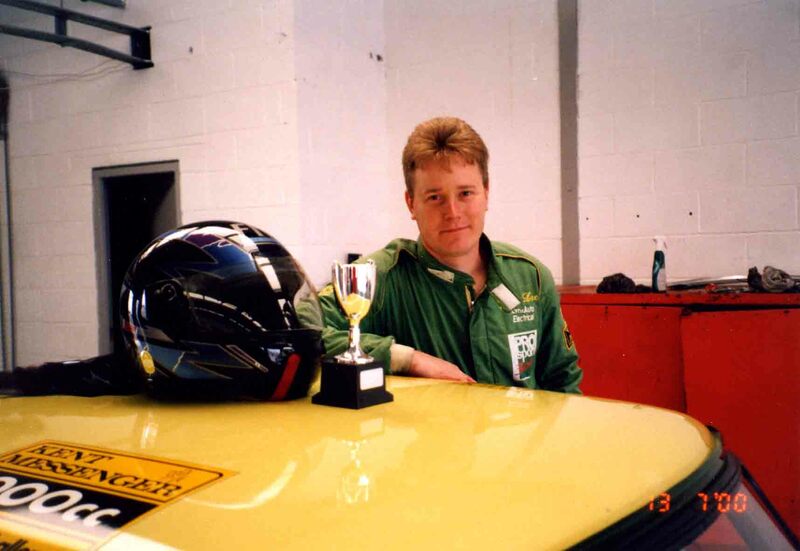 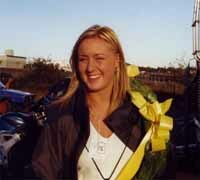 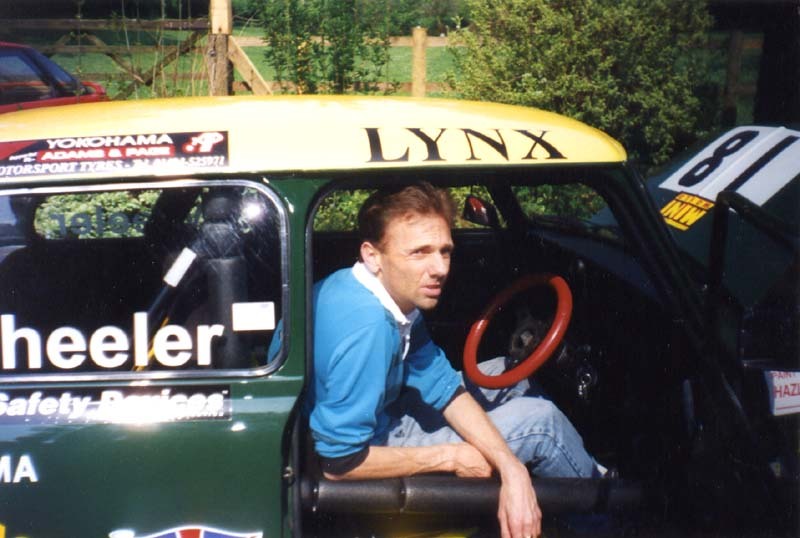 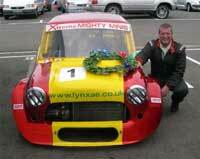 Winner of the xtreme Mini Championship 2003. 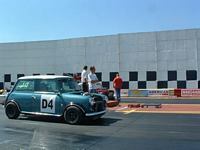 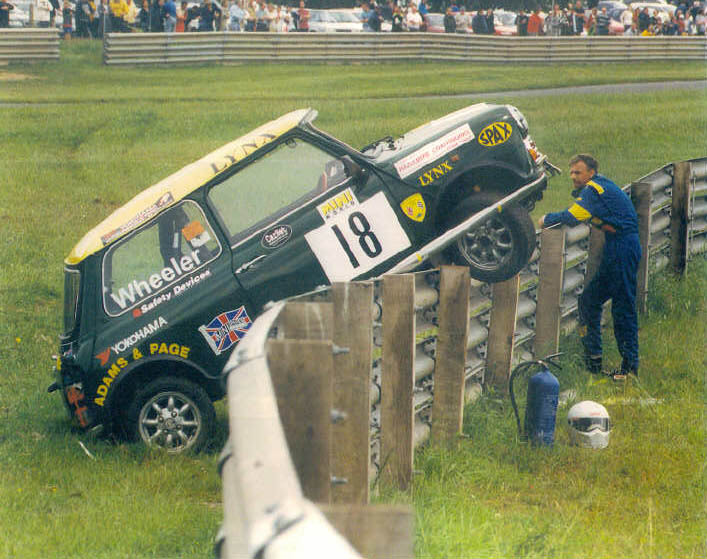 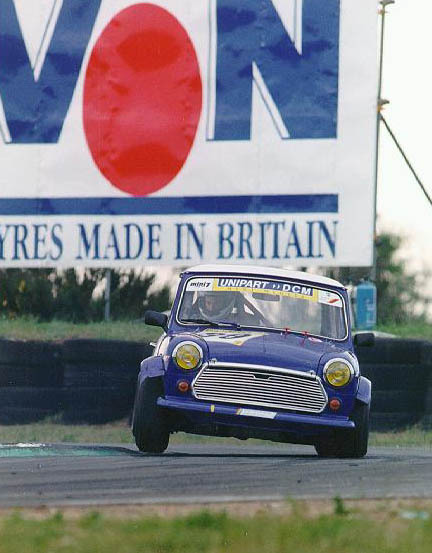 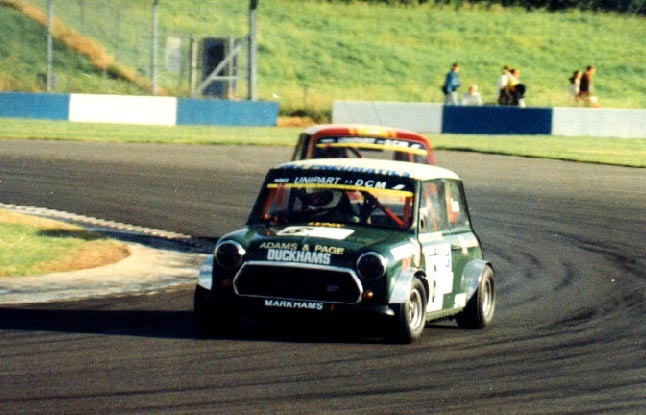 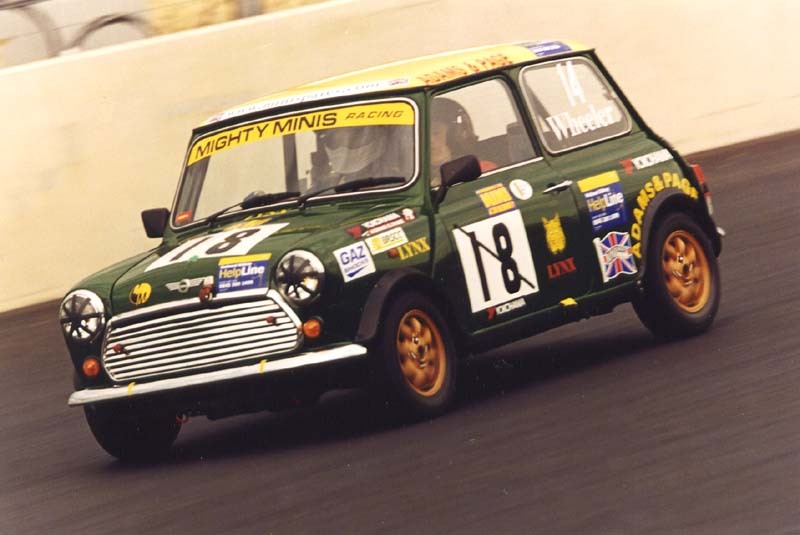 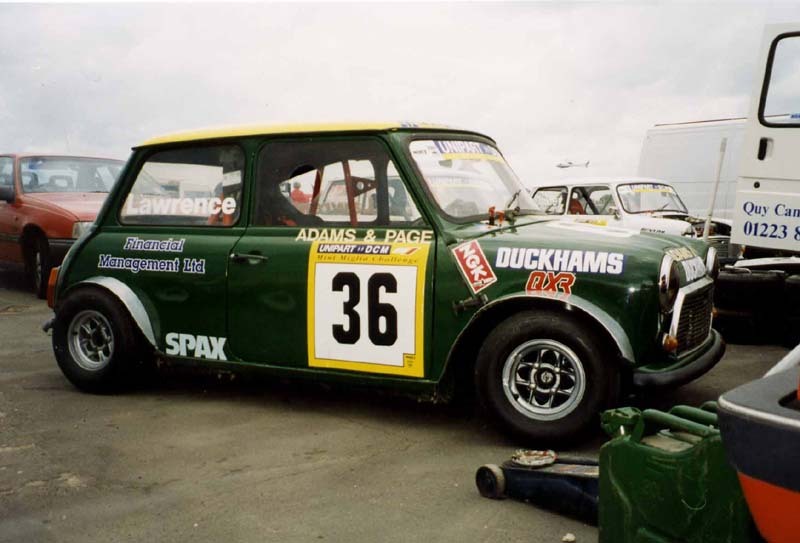 Winner of round 1 of the 2004 Xtreme Mini Championship. Mini 45 Silverstone 7/8 Aug 2004 Fastest Mini in the world race. 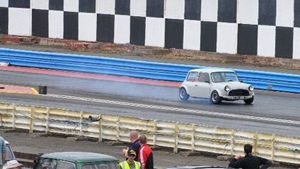 1st in Xtreme Mini class. 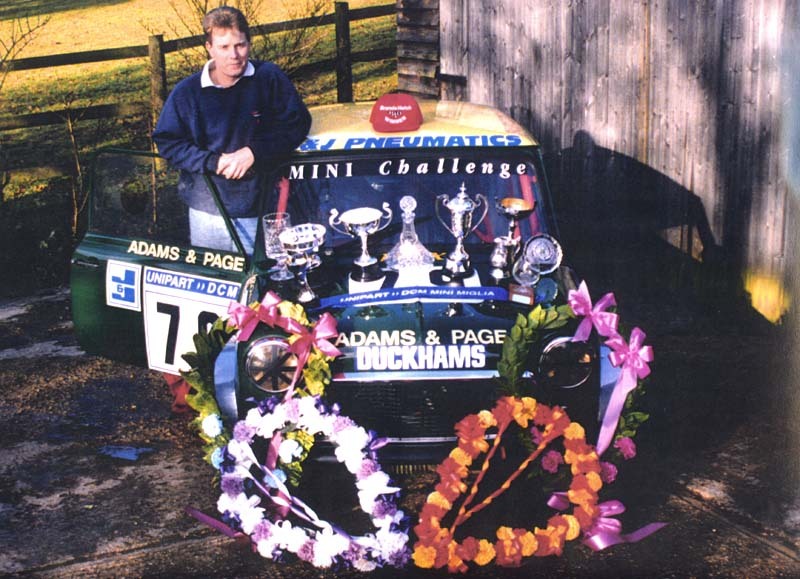 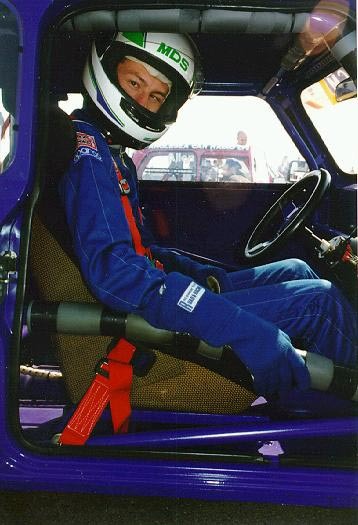 Southern Champion 1993, 2nd 1992. 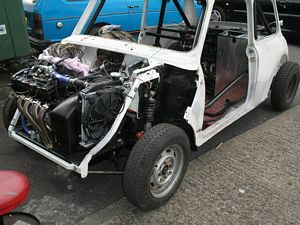 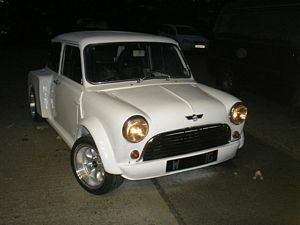 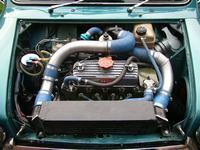 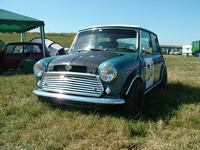 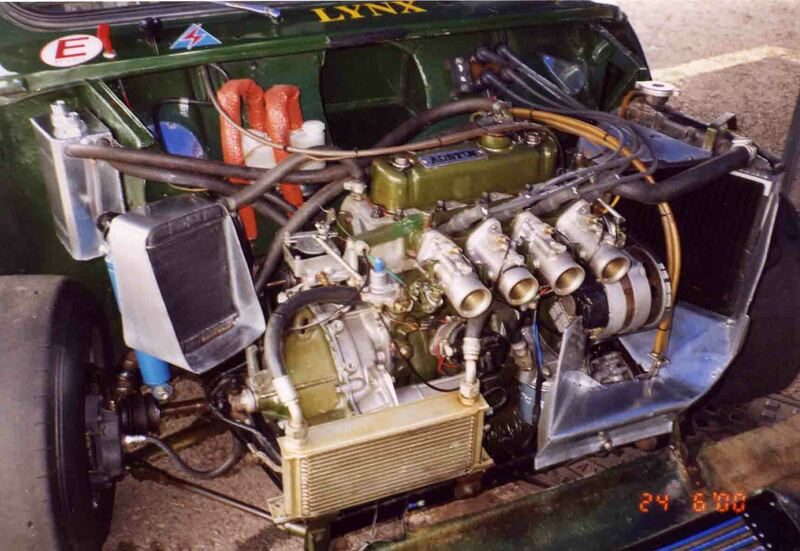 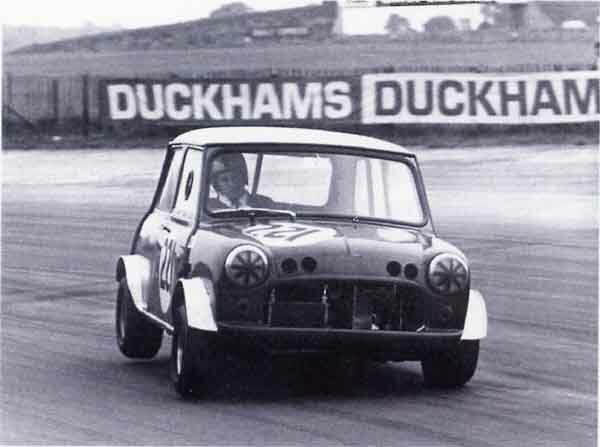 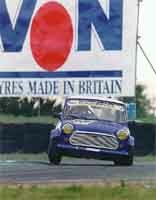 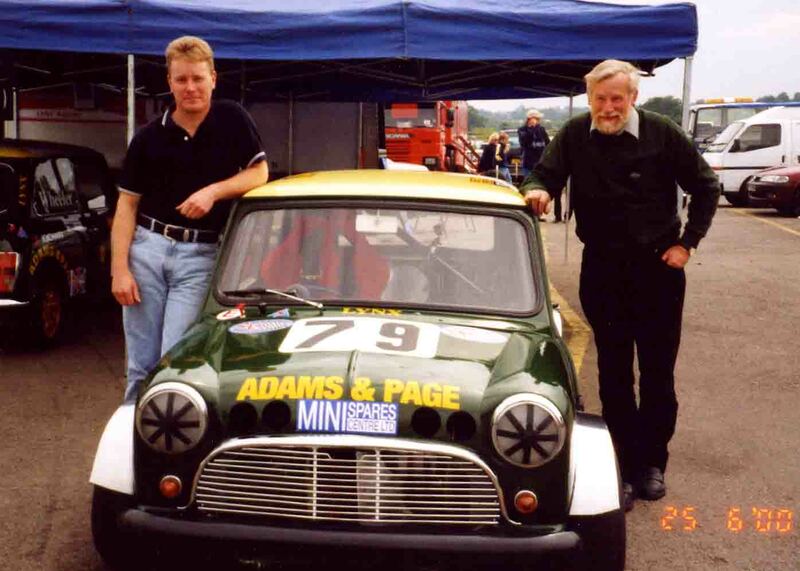 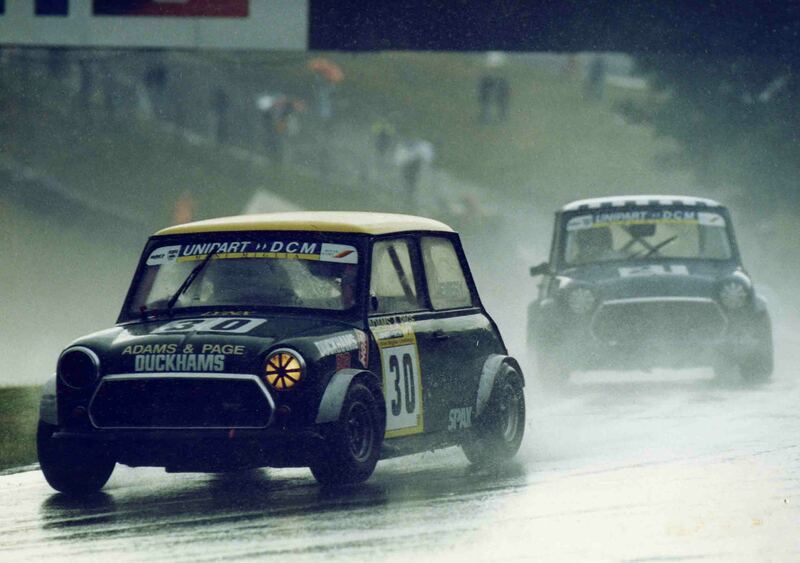 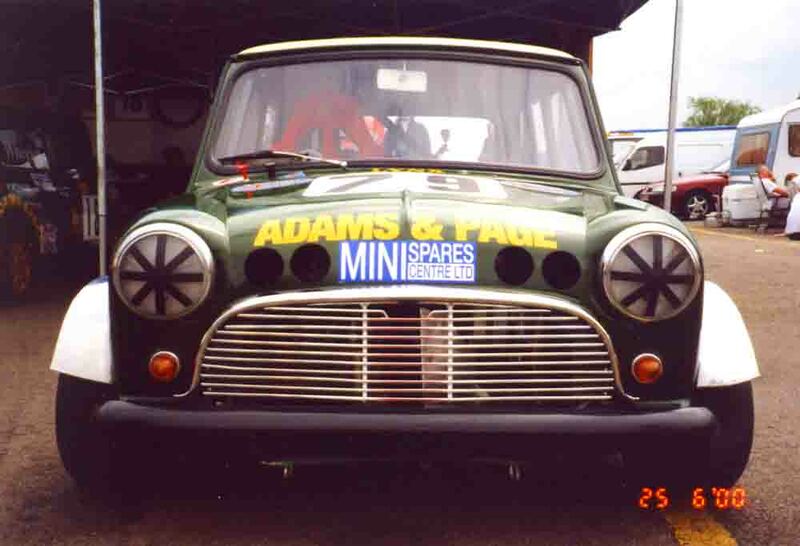 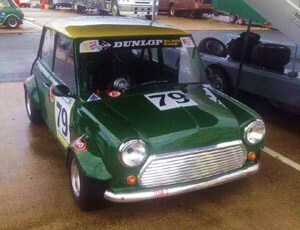 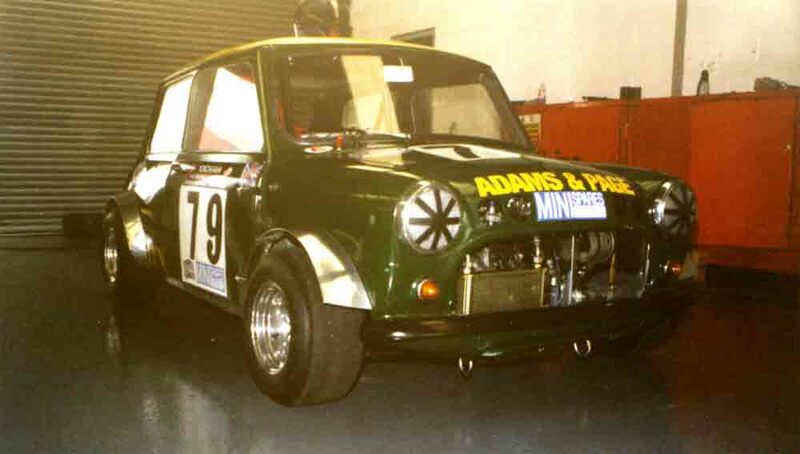 Special saloon Mini 970 'S' Arden 8 port head, fuel injection. 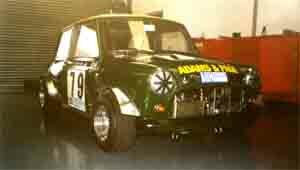 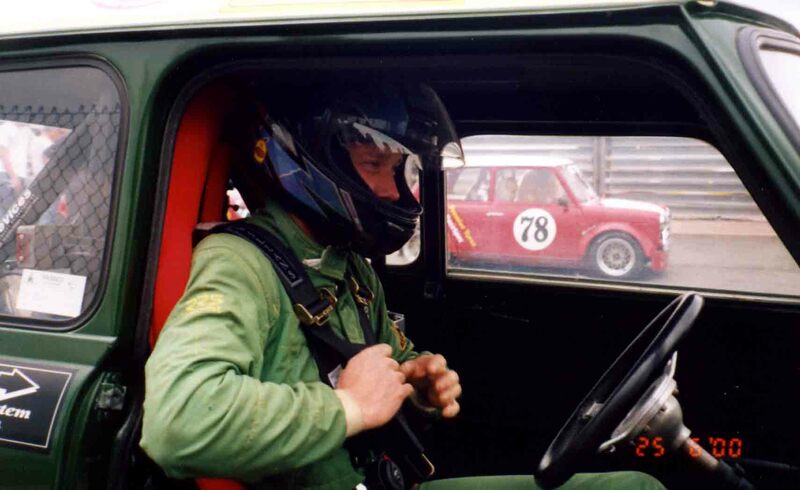 Historical Race Reports & Magazine Articles. 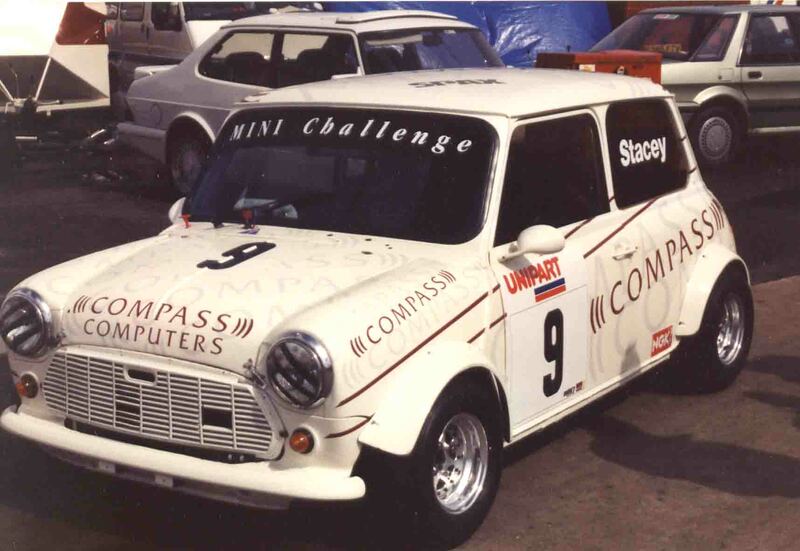 This may take some time to download (1.75MB). 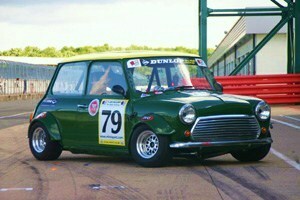 took Richard to 3rd at Snetterton.